As I mentioned in The R&D Funding Gift from Office of the Chief Scientist of Israel, Israel has risen to become one of the world’s foremost countries of innovation. A lot of countries have been looking at Israel as an innovation model. The Office of the Chief Scientist (OCS) of the Israeli Ministry of the Economy has played a vital role in promoting innovation. The tech startup hub of Tel Aviv (Israel) becomes the hot destination of American, European, Russian and East Asian investors. It will be a huge benefit for China to take advantage of Israel’s high-tech workforce to promote its research and development. On May 20, 2014, OCS and the Chinese Province of Zhejiang, signed a Cooperation Agreement. 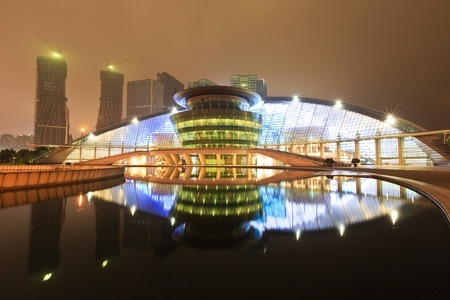 Alibaba, the E-commerce giant in China, also has its headquarter located in Hangzhou, Zhejiang Province. With more than 100 million residents, Zhejiang is considered the Chinese “Silicon Valley” making this agreement a milestone for Israel-Sino economic and technological relations. The Cooperation Agreement will promote Israeli companies in China. The agreement targets industrial R&D projects between Israeli companies and Chinese companies from Zhejiang. This bilateral program is an outcome of a memorandum of understanding (MOU) signed between the State of Israel and China’s Zhejiang province on early May 2014. Prior to the agreement with Zhejiang Province, OCS also signed R&D Cooperation Programs with Jiangsu Province, Shanghai, Shenzhen, Shandong Province and Guangdong Province in China.